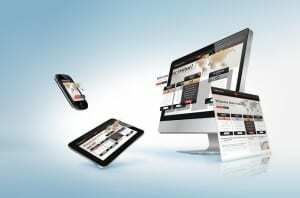 Reign Media has compiled key statistics regarding website design; starting with the importance of mobile compatibility. 42% of adults own a tablet computer in the US! Smartphone users check their devices on average 150 times a day. 46% of people using mobile devices report having problems viewing a static site (non responsive). When your target customer goes on your website, you want to optimize their experience. Make sure they can view, locate, and engage with all the information they need. Your website is a sales funnel; and Reign Media can offer cost-effective responsive design for your branding needs.